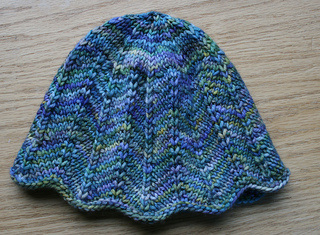 I wanted a companion hat that would go with Sprite by Lynn DT Hershberger. 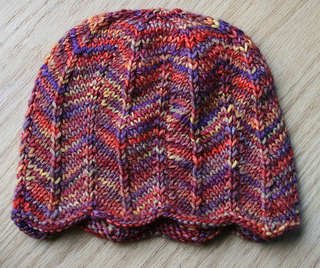 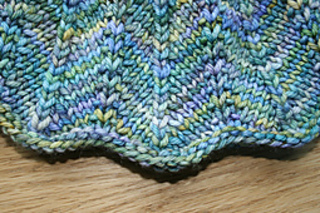 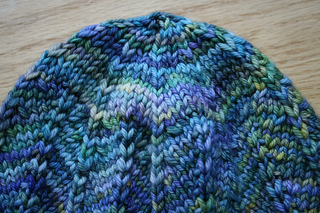 This hat uses the same chevron stitch pattern, but I changed the edging a little and invented my own decreases. 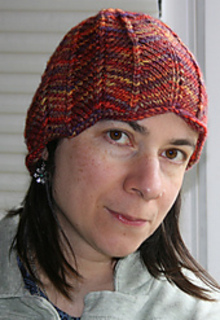 I’ve provided two sizes that are appropriate for the average adult woman; it is possible to adjust for additional sizes by changing the number of 12 stitch repeats. 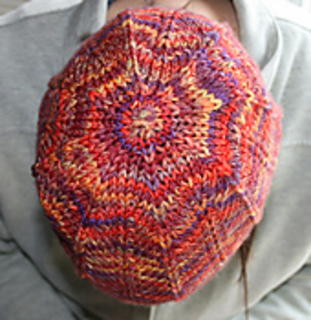 You can also make the hat longer, or into a shorter “chemo cap” style by doing less or more row repeats.